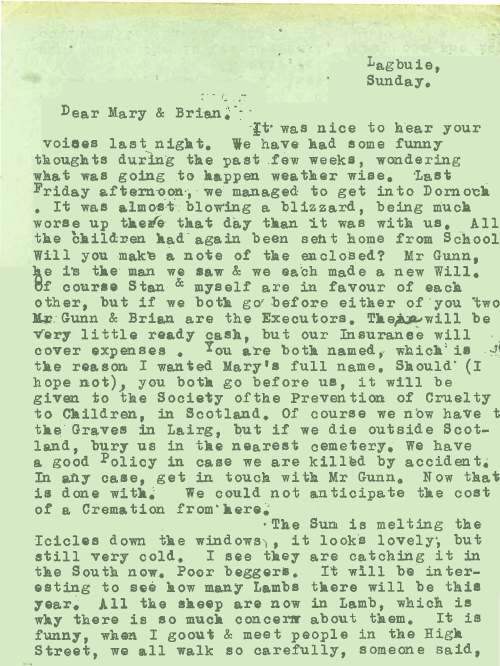 Covering explanatory letter from donor about three letters written by his mother during the severe snow storms of February 1978. His mother, Trudy Winward and stepfather, Stan Winward lived in the Manager's House which adjoined Lairg Electric Laundry, in fact a door led from the hallway direct into the laundry. Stan was the Maintenance Man there which explains the reference to thawing out the fuel oil (Full content of letters can be viewed using the pdf file).